DYLAN is a research project for evidence based management and conservation of natural and cultural heritage.DYLAN is supported by the Research Council of Norway, program Enviroment2015. DYLAN involves researchers in archaeology & cultural history, palaeoecology and biodiversity at the university museums in Oslo, Bergen, Trondheim and Tromsø, the Norwegian Institute for Cultural Heritage (NIKU) and Scottish Natural Heritage (SNH). The four study areas are: Erdalen and Sunndalen in Jostedalsbreen National Park, Budalen conservation area, Dividalen conservation area and National Park, Grimsdalen conservation area. Have you ever seen rocks with shiny small fragments while having a walk in the mountains, in the forest, or by the fjord? Those particles can be so abundant in some rocks that children (and grown up people) get really impressed of their bright and collect those stones thinking that they contain silver or gold. Is that your case? Maybe you were really lucky and found those highly valuated minerals, but most likely you found one of the most abundant minerals in nature: mica. Mica is a mineral which belongs to the group of silicates, so its basic structure is built on crystals of silicon (Si) and oxygen (O). These crystals are arranged in layers and that is why micas are classified as phyllosilicates (from Greek phyllon: leaf). Layers are joined together with other elements such as aluminium, iron, magnesium, calcium, and sodium, between others. Structure of mica. One atom of silicon (red) is surrounded by 4 atoms of oxygen (blue) producing a structure of a pyramid with 4 sides (tetrahedron). Many tetrahedrons are joined yielding layers. 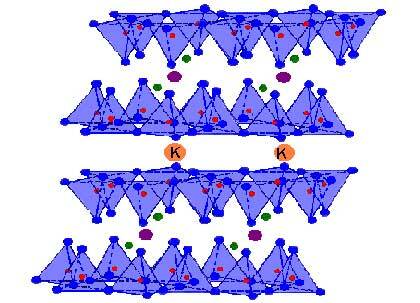 These layers can stay together thanks to magnesium, aluminum (purple), potassium (K, orange) or other elements. 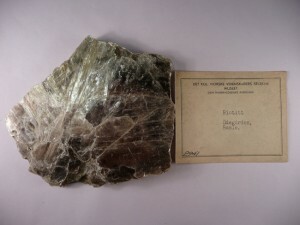 Sample of mica (biotite) from the collections of the NTNU Vitenskapsmuseet. Mica has unique properties due to its crystalline structure. Mica layers can be split and yield flat sheets that are stable when exposed to electricity, light, moisture, or extreme temperatures. The sheets can be made so thin that it is possible to see through them. Naturalists from the 19th century made use of this. In biology it is very important to see small and delicate structures to be able to identify species. Microscopes are used for that purpose. Specimens or parts of plants and animals are placed in a material which allows light from the optical microscope go through it. That means making a microscopic preparation. 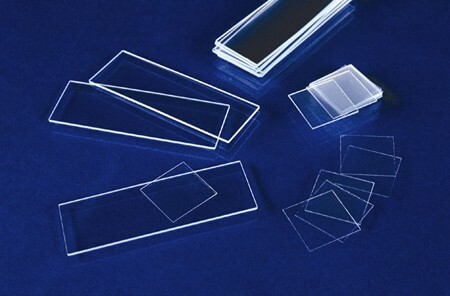 Microscopic preparations are commonly composed of two different pieces of glass: the slide and the coverslip. 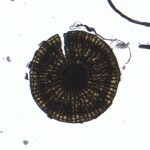 The specimen is usually submerged in a viscose and transparent liquid, and placed on the surface of the slide. Then the sample is covered with the coverslip, a piece of glass smaller and thinner than the slide. This is, in general terms, how microscopic preparations are made nowadays. 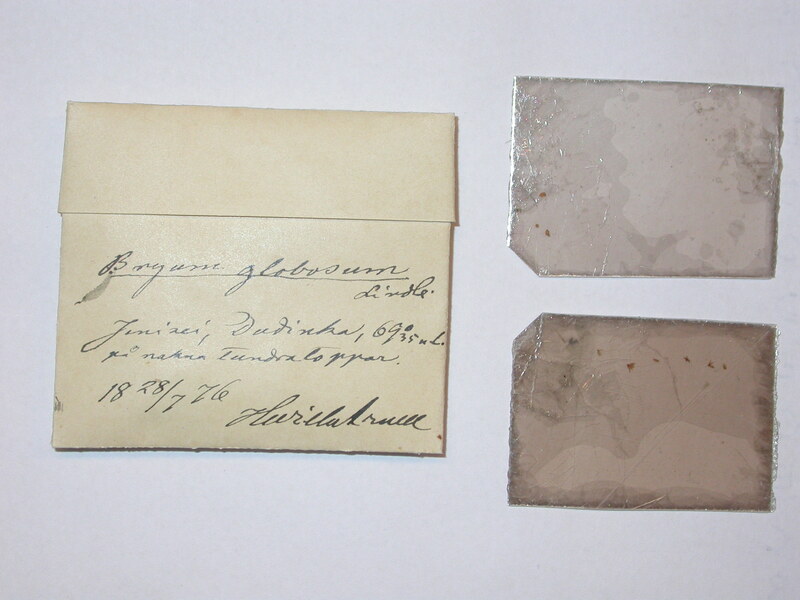 Glass elements used to make a microscopic preparation: slide and coverslip (the last one square or rectangular, but always thinner and smaller than the slide). In the 19th century those kind of thin glasses were not yet available so naturalists had to look around to find a suitable material for that purpose. And it turn out that mica was excellent! Bryologists (botanists who study mosses) use the optical microscope to study the small and delicate structures of mosses. Therefore they usually make microscopic preparations (also called microscope slides). 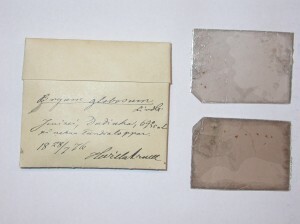 The importance of producing microscope slides was already pointed out by bryologists from the 19th century. Many of them considered this an excellent way to keep, preserve, and study samples from mosses, so they became an important part of the collections. 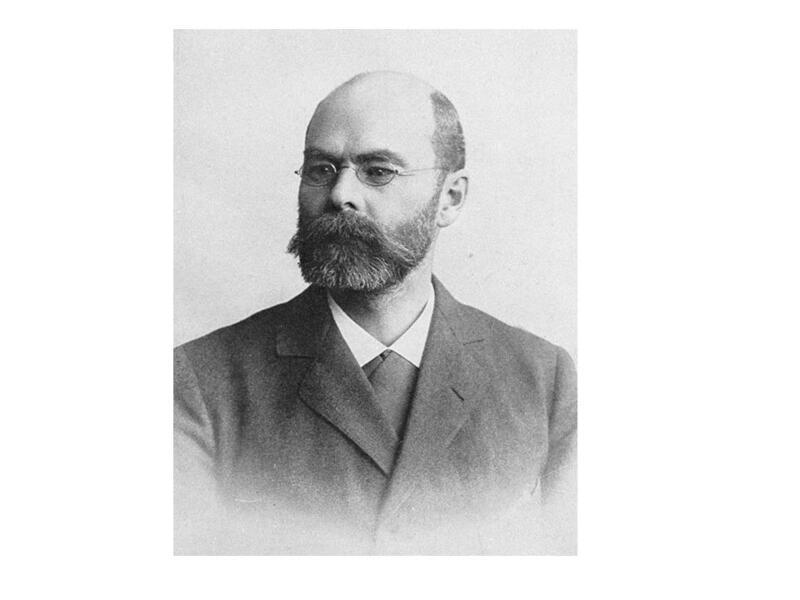 For instance, in 1853, Carl Müller, a prominent German bryologist, recommended the use of slides since they allowed him to make a detailed study of mosses from the entire world, as he said. 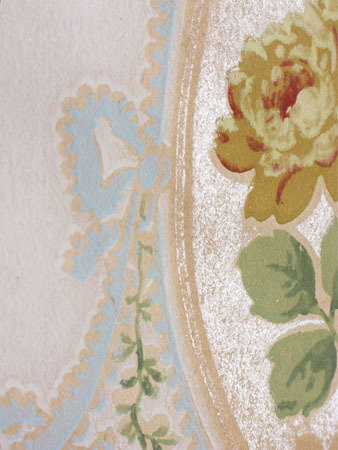 Wall paper with mica pigment (19th century). In specialized journals from that century there were intense discussions about how to make the slides using mica sheets (which was the best size, which kind of substance should be used to place the moss fragments between the mica sheets, etc. 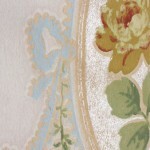 ), and even where to get mica sheets. 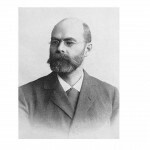 The American bryologist James Franklin Collins, recommended to order them from a factory of cast iron items, where they used the mica sheets as windows for stoves. But another American bryologist, Abel Joel Grout, found out that it was cheaper to obtain them from wallpaper factories because the fragments where smaller since they used mica to make glittering patterns in the wallpaper. 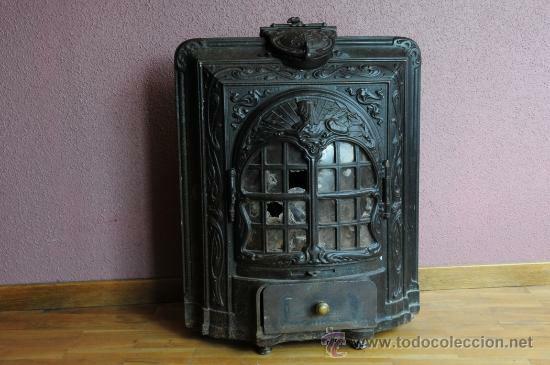 Cast iron stove from France with mica windows (last third of 19th century). After a long period glass became more common and naturalists started to use it for the down part of the microscopic slide. But still the coverslip was made in mica since it was very difficult to find very thin sheets of glass. As the thin glass became more available and less expensive, mica fell completely out of use. 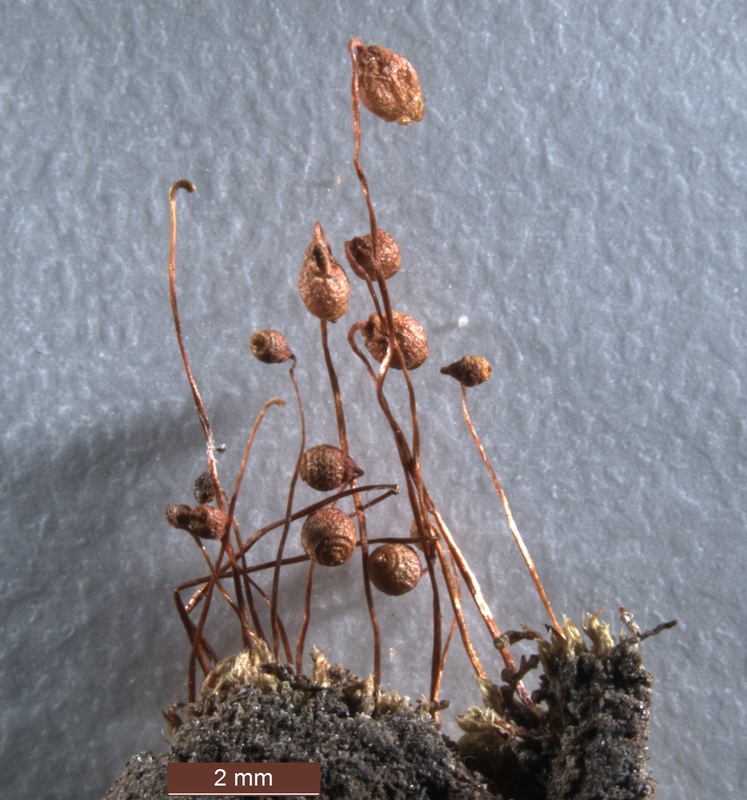 Moss sample from the herbarium of the NTNU Vitenskapsmuseet. The envelope contains the specimen and two mica slides. Note that all the information about the specimen (name, locality, ecology, date, and collector) was written on the envelope. Nowadays we can still find some of those old microscopic preparations in herbaria, which are collections of plants (usually dried) preserved and placed in museums, botanical gardens, or other institutions for its study. The microscope slides are many times inside small envelopes together with the plant they are prepared from. The labels pasted on those envelopes tell us when the plants were collected, who was picking them up, or who was giving a name to plants for the first time. 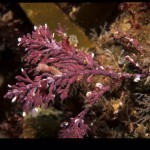 They even bring us the amazing places where the plants where collected (high mountains, thick forests, remote islands). But still there are more stories behind, not written stories. And sometimes it is just a matter of opening and envelope and seeing what it is inside. Image from one of the mica slides. Fragment of the upper part of a sporangium as seen under the microscope. 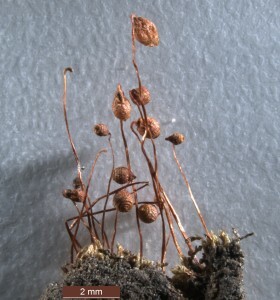 Appearance of the moss found inside the envelope showing the sporangia (reproductive structures). Portrett av Foslie. Foto: NTNU Vitenskapsmuseet. Mikael Heggelund Foslie ble født 21. oktober i 1855 i Borge (nå Vestvågøy) i Lofoten. Han døde 9. november i 1909 i Trondheim. Som ung gutt hadde Foslie stor interesse for naturhistorie. Kalkalge med greiner. Foto: T. Bakken. 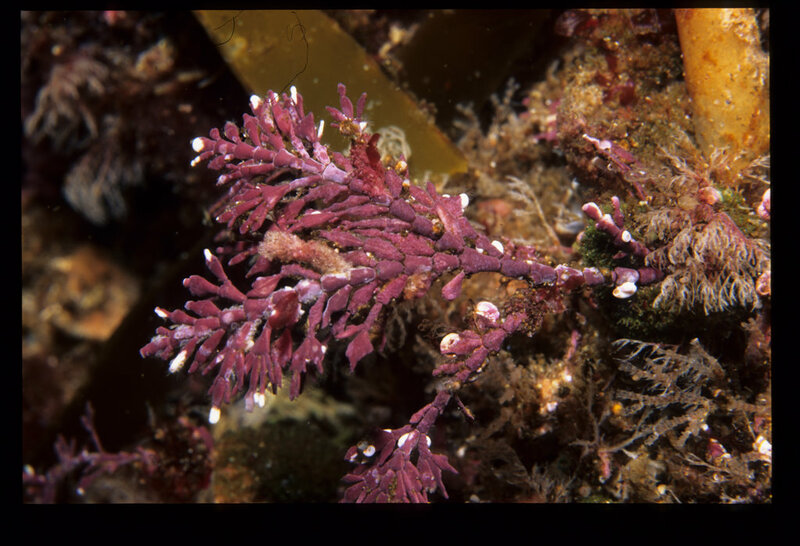 Kalkalger (Corallinales) tilhører rødalgene (Rhodophyta). Rødalger utgjør sammen med brunalger og grønnalger de store algene. Rødalgene lever nesten utelukkende i havet, og de finnes over hele verden.